At the west end of VA 54Y from VA 54 eastbound, which is posted only as US 301/VA 2 south. 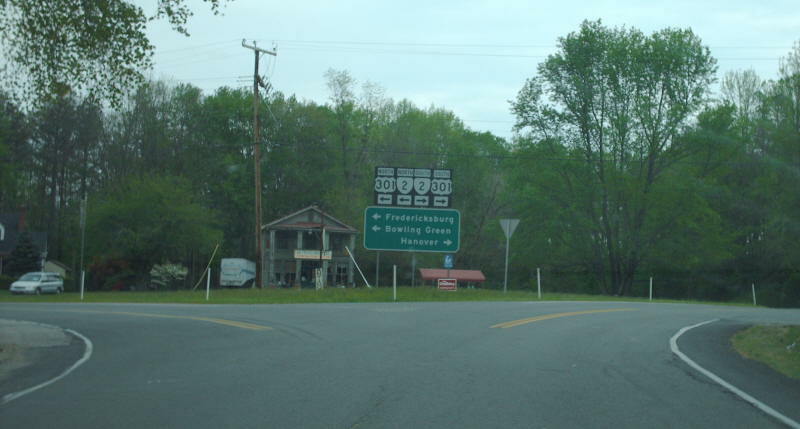 Mainline VA 54 runs to the left here. Photo by Mapmikey, taken April 24, 2007. 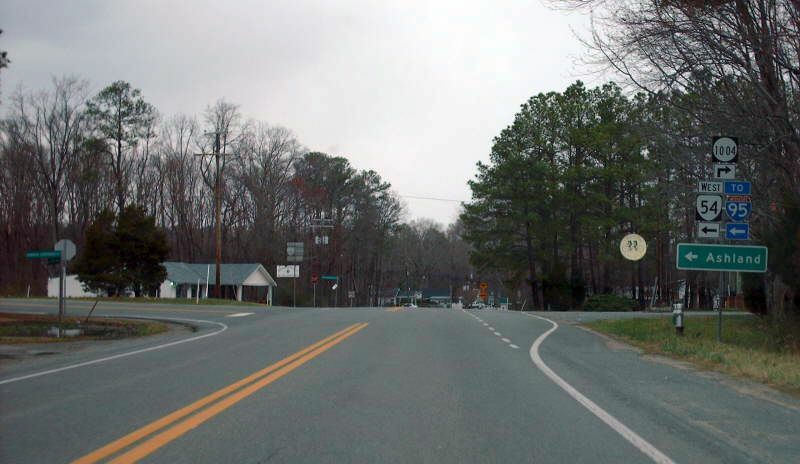 The east end of VA 54Y from US 301/VA 2 north. Posted as mainline VA 54. Photo by Mapmikey, taken March 17, 2007.